At this time of year, you’re wrapping up the last few pages of your publication and putting the finishing touches on the yearbook sections you’ve already created. One area that often gets forgotten at this stage is the creation of exciting section title pages. These headlines show off what students can expect to experience over the coming pages and encourage readers to dive into your content. This makes it essential to build something great. Plus, you’ve pushed hard to make it this far–don’t burn out before you create a yearbook that shines from start to finish! 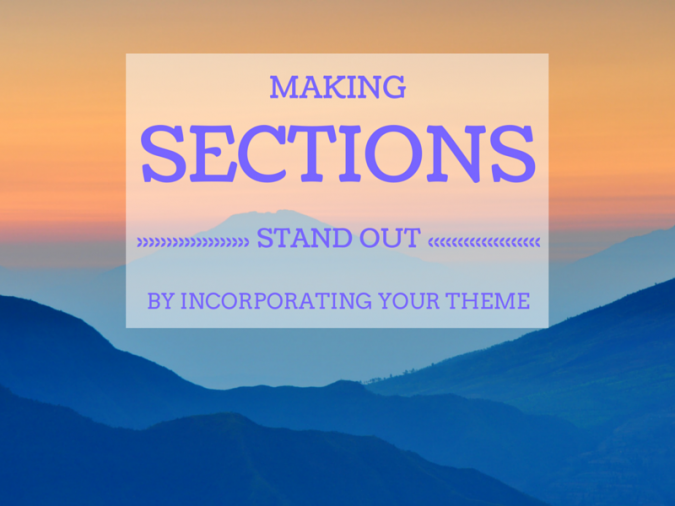 Below, I’ll walk you through the steps you can take to make sure your section headers don’t get left in the dust, and that they’re fresh and theme-consistent throughout your entire book! Before you go on a frantic rampage to replace all of the headlines within your book, do a quick review of the entire publication. This will allow you to see what actually needs replacing. At this point, you’ve reviewed your content so many times that you need an easy tactic to examine your book with fresh eyes. Create a spreadsheet with three columns. In the first column, note what each of your sections are about. For example, sports, clubs, and student life. Within the second column, add the headline you’re using for each of those sections. Finally, use the third column to describe how the headline ties in with your yearbook theme. If you’re struggling to make the connection between the headlines of your yearbook sections and your theme, make a note that this section title of your publication needs a little finessing. Then work with your committee to brainstorm some unique ways to give it a more inviting look and feel. To come up with phenomenal starts to each of your yearbook sections, turn to your committee for help. Creativity is something that is often spurred in a group setting. Bring your team together to bounce ideas off of one another until you find the right fit for each page. Use the list you created when reviewing your content as a place to start. This will also help to keep your committee on track. 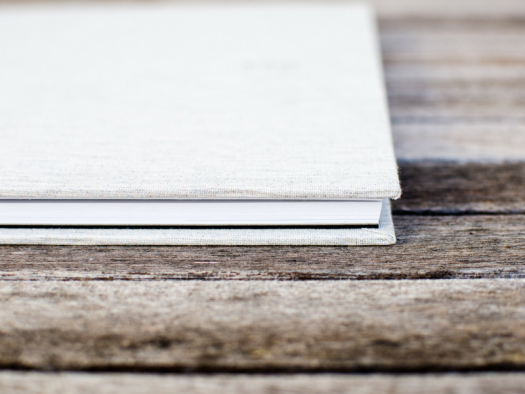 Encourage your team to come up with title pages that go beyond the basics and integrate with your theme. 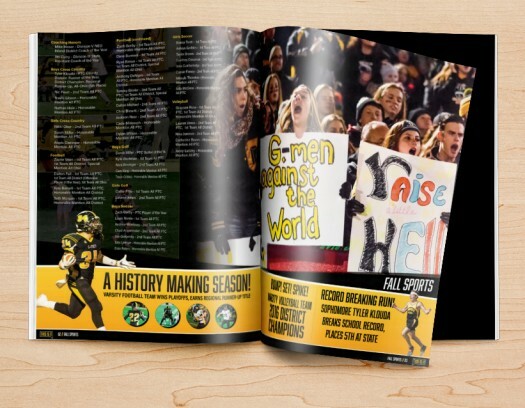 For example, with a “Take Action” theme, you could use a header like “Kick the Winning Goal,” or for a future-forward theme, “Touchdown for the Future,” rather than “Sports.” Both are much more intriguing options that convince your audience there’s something read-worthy inside! 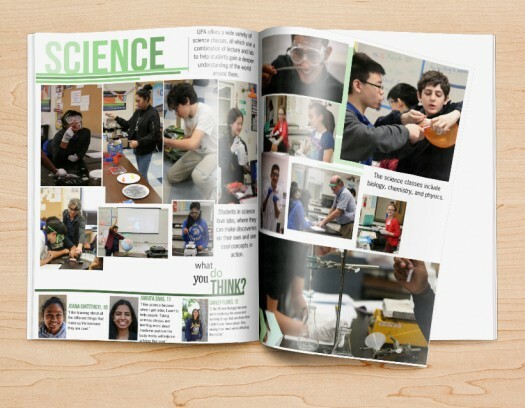 Stumped for how to come up with headlines for your yearbook sections that are totally unique and on-theme? Below, I’ve pulled together several examples of applying theme to section headers, that can be the perfect fodder to inspire your committee during your brainstorming session! Student Life Title: Read All About It! Sports Title: The Crowd Goes Wild! Finally, remember to put some great design behind your fabulous titles to make each of your yearbook sections even more awe-inspiring. Your goal is to create an air of intrigue before students turn to the next page. Use clean lines, engaging background textures and colors that meld with your theme to build the perfect section starters to complement the rest of your book’s content. A combination of beautiful design and crafty titles will nab their attention and pull them into your content without a second thought!